First off, a quick reminder about exactly what HomeKit does. The Apple-designed protocol was designed to make it easier for users to interact with products in the growing smart home market. The biggest advantage, for now, is the ability to control and check the status of different devices by simply asking Siri. I’ve previously reviewed a number of other products that offer HomeKit support including the Ecobee3 Smart Thermostat, Philips Hue 2.0 Bridge, and Elgato Eve Wireless Outdoor Weather Sensor. But one of the best and most inexpensive ways to get a glimpse of the smart home future is with a Wi-Fi-enabled electrical outlet. The first to hit the market, iHome’s iSP5 Smart Outlet, arrived back in August. And in my original review, I was pleased with device that can only control a single outlet. 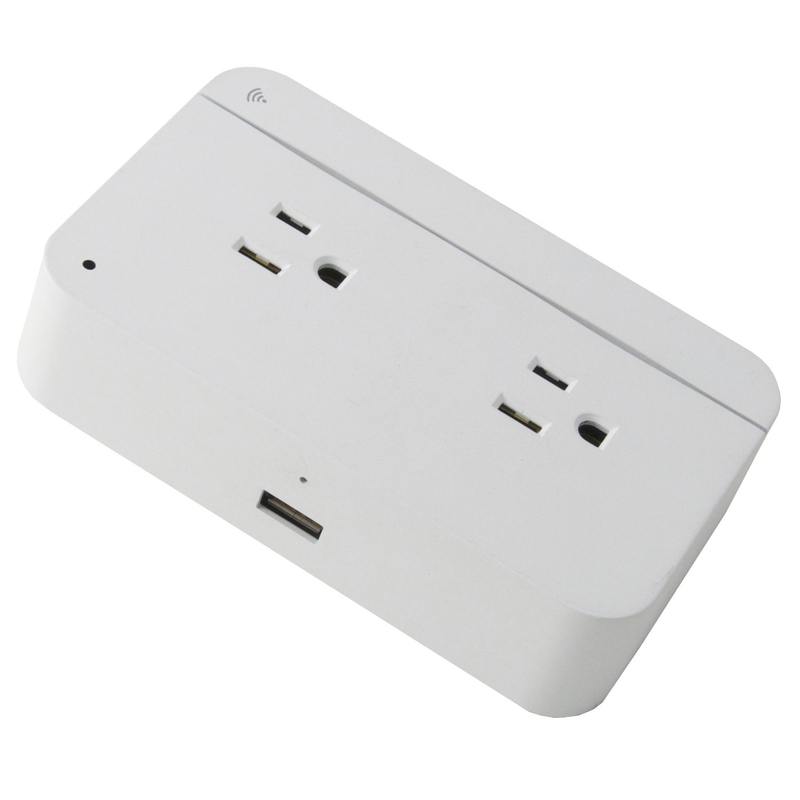 Along with two electrical outlets, there is also a 2.4A USB port on the side of the device. But there’s a new contender that doubles the fun, literally. 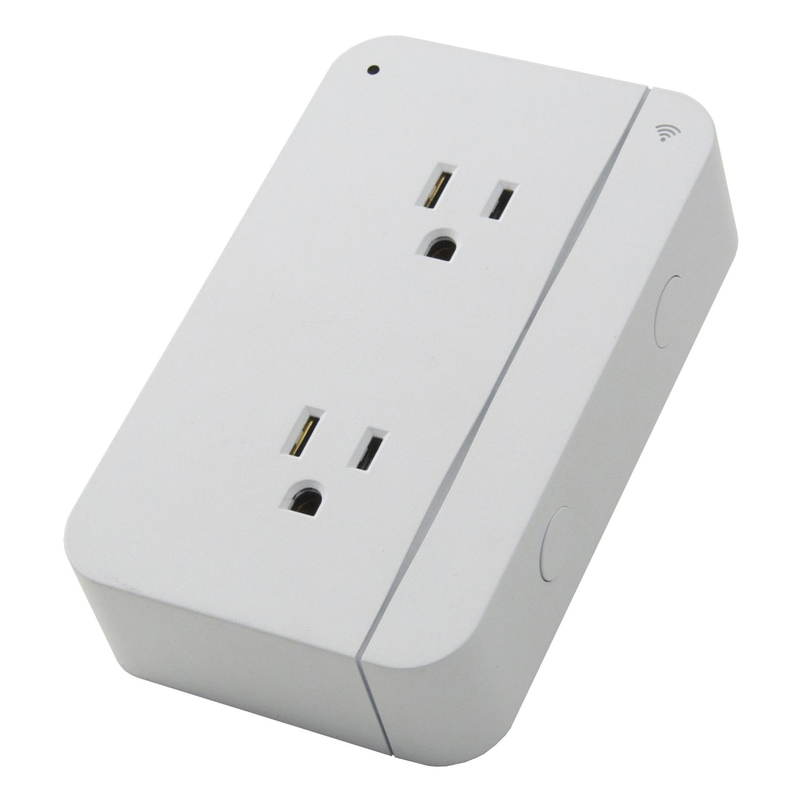 The ConnectSense Smart Outlet landed today for $79.99 and features two outlets that can each be controlled separately. Getting it installed just takes a few minutes. You’ll need to find a free double-gang outlet and then plug the device in. 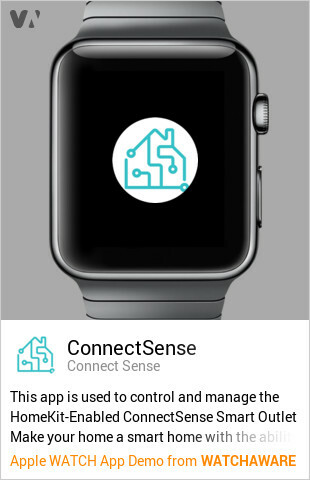 Download the companion ConnectSense app, open it up, and then head to the Devices tab. 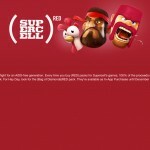 Select the “+” sign on the top right corner. To complete the installation, you’ll need to head to your Wi-Fi settings and select the outlet under the “Set Up New Device” heading. It will automatically connect with your home wireless network, and you’ll be ready to go. Each outlet can be controlled separately. You can rename both outlets with a name that Siri can easily understand. Since the holiday season is here, I’ve been testing out the outlet with my Christmas tree lights. Along with the quick setup, I also think ConnectSense did a great job with two extra-added features. Along with individual buttons that can turn the outlet on or off when needed without an iPhone or iPad, a single 2.4A USB plug is included on the left side of the device. I’ve been using it for a little more than a week and have really been impressed. Since my tree is placed in a corner, it has always been notoriously difficult to actually reach behind the tree to turn the lights off. Now all I need to do is pick up my iPhone and ask Siri to take care of the rest. 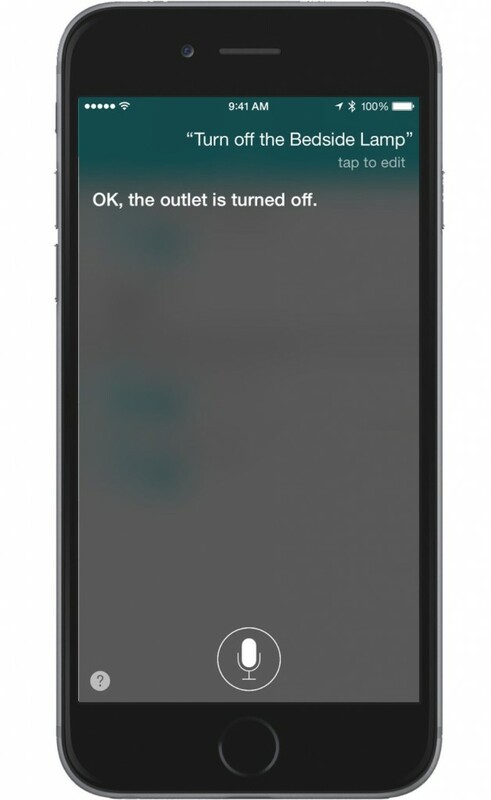 Controlling the outlet with Siri is quick and easy. Siri support, for the most part, worked as advertised. Along with being able to control each outlet individually with a voice command, you can ask Siri if a specific outlet is on or off. When you’re away from your home network, if you have a third- or fourth-generation Apple TV to act as a bridge, you can also interact with each outlet using Siri. Using the ConnectSense app, you can also view the status of both outlets. After adding a few other HomeKit-enabled devices, you can see the status of each through the app, which is a great plus. Users can also set up rooms, zones, scenes, and more. Anyone with an iPhone 6s or 6s Plus can 3D Touch the app’s icon to activate any scene that has been created. Apple Watch owners can also access and control their outlets through the watch app. Siri commands also work through the watch. 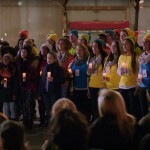 Here’s an interactive preview from our sister site WatchAware. 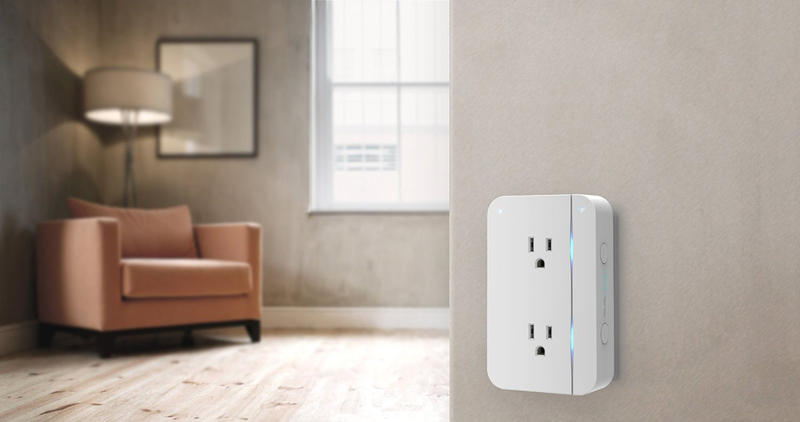 If you’ve been thinking about jumping on the smart home bandwagon, you definitely can’t go wrong with the ConnectSense Smart Outlet – especially if you’re needing to control two different devices located near each other. It’s definitely recommended. Thin design doesn’t add a lot of bulk to an existing power outlet. Companion app can control other HomeKit devices. USB port is an extra-added bonus. No need for an additional hub to connect to your router. Separate on/off switch for manually controlling each outlet. Somewhat pricey if you’re just wanting to control just a single appliance or lamp.